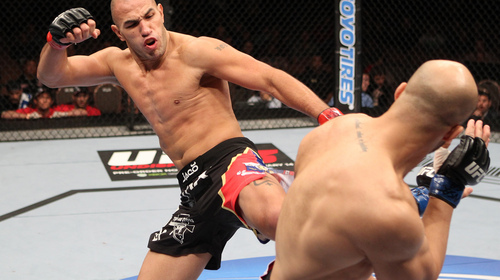 Two of mixed martial arts most compelling figures will finally meet in the world-renowned UFC Octagon, as former two-division world champion BJ Penn squares off against former Strikeforce welterweight titleholder Nick Diaz, who is returning to the UFC for the first time since 2006. 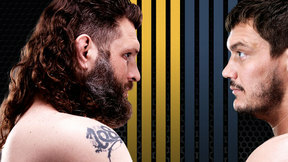 Virtual mirror images of each other, with devastating striking games and black belt level jiu-jitsu, this UFC 137 main event will be an explosive battle of skill and will. Nick Diaz vs. BJ Penn UFC 137 Sat, Oct 29, 2011 (36:11) A match between two of the best welterweights in the world was set as Nick Diaz took on BJ "The Prodigy" Penn at UFC 137. 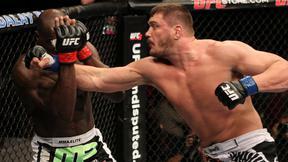 Cheick Kongo vs. Matt Mitrione UFC 137 Sat, Oct 29, 2011 (29:58) Those aren't the only star heavyweights on the UFC 137 roster - White also confirmed today that Cheick Kongo and Matt Mitrione have agreed to a bout on the same card. 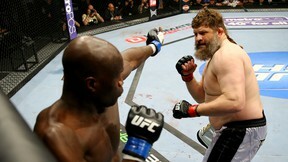 "Both men are coming off big knockout wins at UFC Live in June," he said. 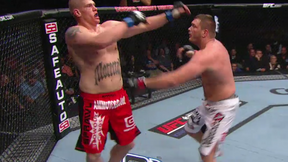 Roy Nelson vs. Mirko Cro Cop UFC 137 Sat, Oct 29, 2011 (25:21) This heavyweight matchup between TUF alum Roy Nelson and Mirko Cro Cop put one of the game’s most devastating strikers against an iron-chinned warrior with a deadly ground game. The two had15 minutes or less to prove who the better man was. Scott Jorgensen vs. Jeff Curran UFC 137 Sat, Oct 29, 2011 (26:58) After a seven year absence, veteran Jeff Curran will return to the Octagon on October 29th in Las Vegas to take on bantamweight contender Scott "Young Guns" Jorgensen at UFC 137. 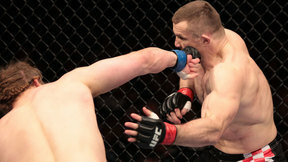 Curran, whose last UFC appearance was a decision loss to Matt Serra at UFC 46, has since gone 19-6 and is remembered for a five fight WEC stint in 2007-09. 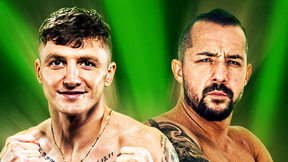 The "Big Frog" has won four of his last five, but will be tested by former WEC title challenger Jorgensen, who is fresh from a first round knockout of Ken Stone in June. Hatsu Hioki vs. George Roop UFC 137 Sat, Oct 29, 2011 (28:03) Highly regarded featherweight phenom Hatsu Hioki lands in the Octagon on October 29th to begin his quest for the title. 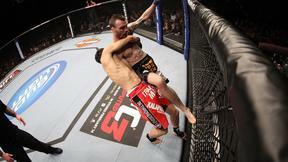 Welcoming him to UFC and looking to take out another top contender will be the always dangerous George Roop. 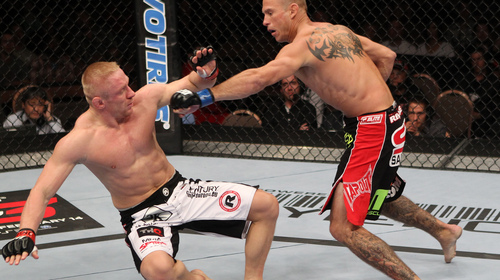 Donald Cerrone vs. Dennis Siver UFC 137 Sat, Oct 29, 2011 (10:03) As the lightweight division’s human highlight reel, Donald Cerrone’s fighting style didn’t change one bit when he came over to the UFC from the WEC. 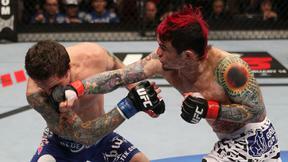 At UFC 137, he looked to exhibit his exciting style against Denis Siver. Tyson Griffin vs. Bart Palaszewski UFC 137 Sat, Oct 29, 2011 (7:15) All-action warrior Bart Palaszewski makes his UFC debut longtime lightweight contender Tyson Griffin. 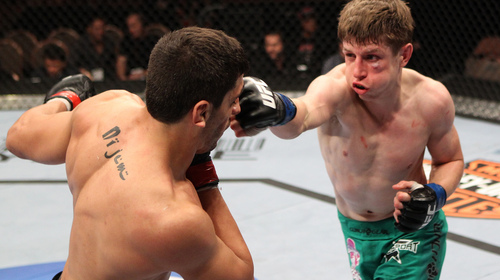 Palaszewski will also be making his first appearcne in his new weight class at 145 pounds. Brandon Vera vs. Eliot Marshall UFC 137 Sat, Oct 29, 2011 (24:26) Despite his prowess with a striking game, Brandon Vera has always claimed that he is more comfortable fighting on the mat, which may be music to the ears of BJJ black belt Eliot Marshall, who has finished more than half of his pro wins by submission. UFC 137 Prelim Fight: Ramsey Nijem vs Danny Downes Sat, Oct 29, 2011 (24:38) Danny Downes has shown that he has the goods to compete on the elite level. 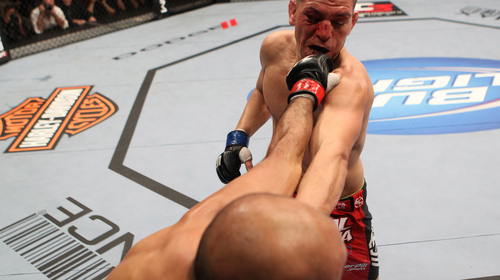 Now looking to make that same statement, TUF 13 finalist Ramsey Nijem has to convince Downes that in a test of will and skill, he’s the one who will get his hand raised. 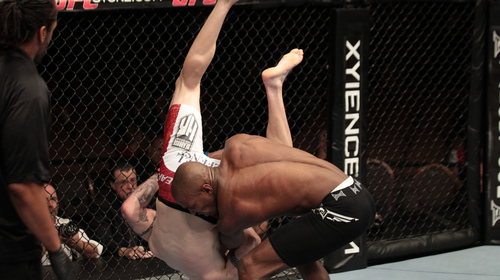 Chris Camozzi vs. Fracis Carmont UFC 137 Sat, Oct 29, 2011 (24:13) A stablemate of UFC welterweight champion Georges St-Pierre, Francis Carmont is a versatile performer who is adept at finishing foes on the feet or the mat. 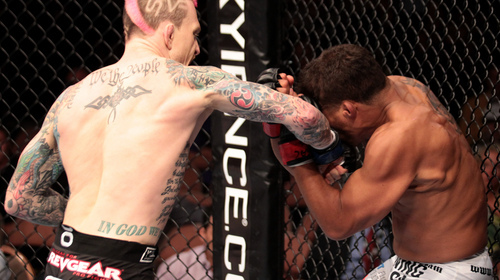 That could frighten some foes, but Ultimate Fighter alum Chris Camozzi doesn’t scare easily. Dustin Jacoby vs. Clifford Starks UFC 137 Sat, Oct 29, 2011 (24:10) Clifford Starks has roared out of the gate in MMA with 7 wins and no losses. 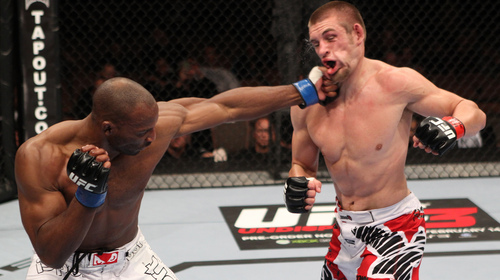 But in Dustin Jacoby, Starks will be facing a fellow middleweight prospect who also doesn’t know how to lose. Perfect in six pro bouts, Jacoby has finished all of his opponents.